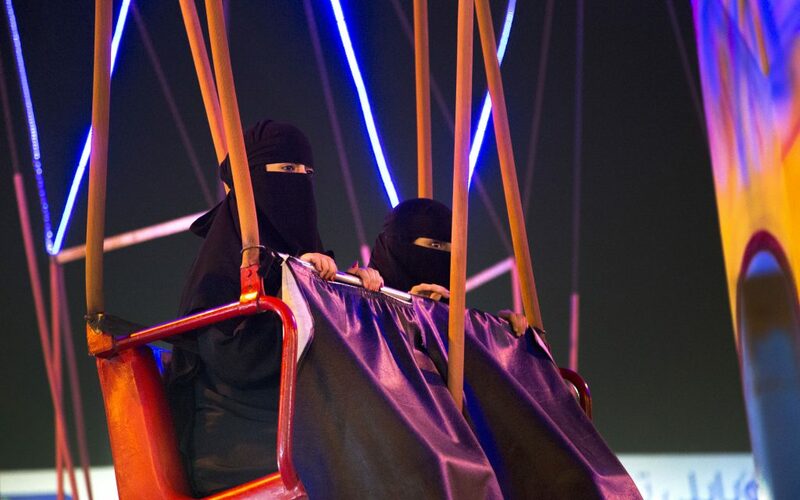 Arwa Alneami (Saudi Arabia) joined the influential Al-Meftaha Arts Village in Abha, the first art centre of its kind in southern Saudi Arabia, in 2000. Having won Saudi’s prestigious Southern Region Arts Award under the patronage of HRH Prince Khaled Al-Faisal in 2005, Arwa struggled for acceptance and inclusion in the regional contemporary arts scene because of her position as a Saudi woman from a traditional background. Arwa moved to Jeddah and began to present socio-political work to local audiences, including the exhibition Mostly Visible as part of Jeddah Art Week 2013, curated by Ashraf Fayad. Since then she has exhibited across the Gulf including at Art Dubai and the British Museum’s Words & Illuminations exhibition, where she presented photographs of the Radwa Al-Sharifa ceiling at the Prophet’s Mosque. In pursuit of realising this project, Piece of Paradise, Arwa became the first female to photograph inside the Masjid Al-Nabawi in Medina — the second holiest site in Islam after the Masjid al-Haram in Makkah and the second mosque built in history, holding the tomb of the Prophet Muhammad. Arwa was born in Khamis Mushait, a modern city in the Asir province of Saudi Arabia. Originally from the mountain village of Rijal Alma, Arwa grew up on the King Khalid Military Airbase, where her father was a military Dean. Arwa’s most recent series, Never Never Land, inspired the title of the EOA Projects’s exhibition in London where the series was debuted in 2014. Exhibitions have also included On Remote Control I + II at Lothringer13 Halle, Munich (2015); the Arab Documentary Photography Program, Beirut, and the first exhibition of Arab Art in Iran at Mohsen Gallery, Tehran, (2016). Delfina Foundation’s family of individual supporters.